The Appalachian Mountains and Tennessee River watershed are biodiversity hotspots. Both the Herbarium and Etnier Ichthyology collections at UT are critical for documenting, protecting, and preserving these amazing plants and animals for future generations. 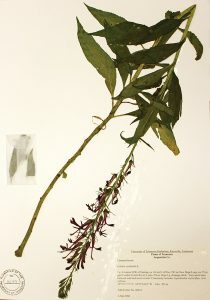 The UT Herbarium is one of the largest plant biodiversity collections in the southeast. 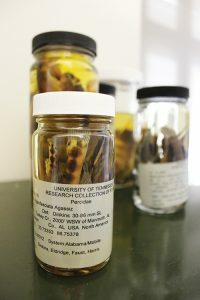 We protect and store over 600,000 dry-pressed plant specimens from across the state of Tennessee and around the world. The diversity of our collection ranges from mosses and fungi to flowering plants and serves as a critical resource for documenting the biodiversity of our region. Our collection serves as the foundation for researchers studying global climate change, biological invasions, and species relationships. We are the caretakers of these irreplaceable resources that date as far back as the 1800s. Our facility is used for undergraduate and graduate research; professional teaching and research; and public service. 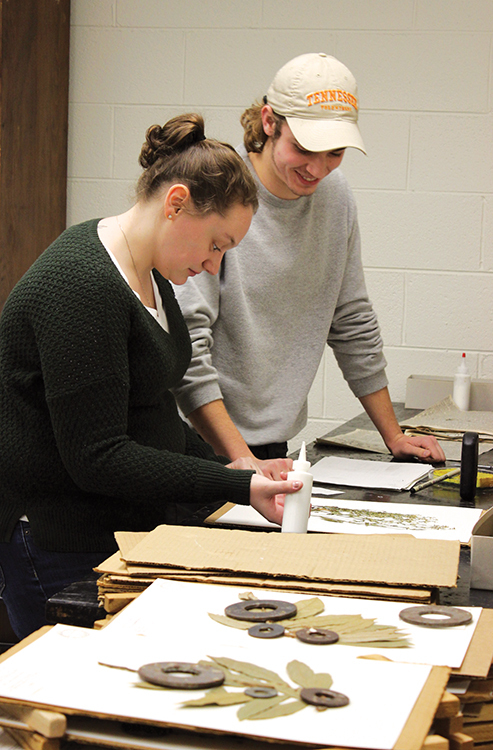 Graduate students in the Department of Ecology and Evolutionary Biology gain advanced training in biodiversity research and specimen curation, which prepares them to be the next wave of successful scientists. Join our enthusiastic team of staff, students, and volunteers by contacting Herbarium Director Jessica M. Budke at jbudke@utk.edu or online at tenn.bio.utk.edu. The UT Etnier Ichthyology Collection is a collection of fishes used for research and species preservation for advancing science. Serving as biological snapshots through time, natural resource collections such as ours play an increasingly important role in informing public and environmental policy. With over 500,000 fish specimens from all over the world, our facility serves as a significant resource for the research community. In fact, several specimens in our collection have sparked the discovery of new species and have been used to study the impacts of climate change and water quality on aquatic communities. Our facility is considered the most comprehensive tool enabling researchers to identify and predict changes in where fishes live and the sizes of their populations throughout Tennessee. We host school groups, youth campers, student researchers, and scientists. Our staff encourages anyone interested in seeing this important collection to come visit. Learn more about our collection, location, and research opportunities online at tennfish.bio.utk.edu or contact us at jparris@utk.edu or 865-974-1948 to schedule a visit. Please help fund our collections at giving.utk.edu/biodiversity. Your gift will support graduate student research, visiting researcher fellowships, and curation projects that improve the availability and accessibility of our collections.